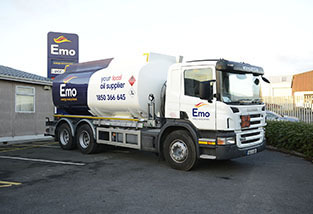 Emo Oil supplies a full range of industrial heavy fuel oils for steam boilers, dryers and furnaces to a wide spectrum of industries throughout Ireland. Our broad customer base includes Power Stations, Breweries, Food Processors, Pharmaceutical Companies, Heavy Industry and Marine. Heavy Fuel Oil (HFO) or Black Oil is one of the least expensive of the refined oil fuels and generally can only be used by facilities that have preheating capabilities. Heavy Fuel Oil is primarily used in industrial boilers and other direct source heating applications. It is also used as a principal fuel in marine applications and large diesel engines. 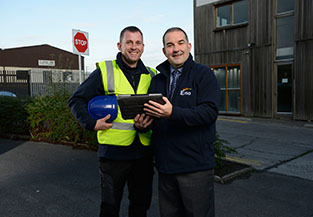 For an express industrial heating oil quotation, please select your product type, quantity and location from our Express Quotation Engine or alternatively contact a member of our team by clicking on the team member icon on the right-hand side. Emo Oil as part of DCC Energy can offer a combination of pricing and credit terms that are unmatched by our competitors. That’s why more and more companies are turning to Emo Oil for a “tailor-made” supply agreement, to find out further information please contact a member of our Commercial Team by clicking on the icon in the right-hand corner. Our nationwide depot network combined with our extensive black oil artic fleet means Emo can service all parts of Ireland. Emo Oil is part of DCC Energy which is the leading oil and LGP supplier in Ireland and the UK, this means we can provide the best price and service for you. Our heating fuel oil is of the highest quality, with regular terminal sample testing. Our Material Data Sheets and Product Specification Sheets are available for download by clicking here.